Should union get civil rights protections? 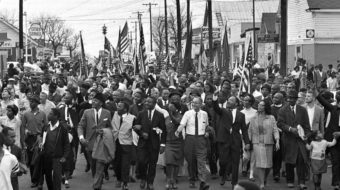 Should union organizers get civil rights protections? 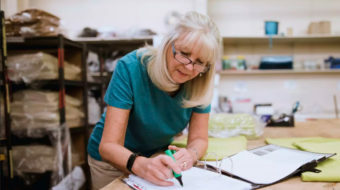 WASHINGTON (PAI) – Workers who are trying to unionize should be added to the groups of people protected by the nation’s civil rights laws, two authors say. Currently those laws apply to women and minorities. 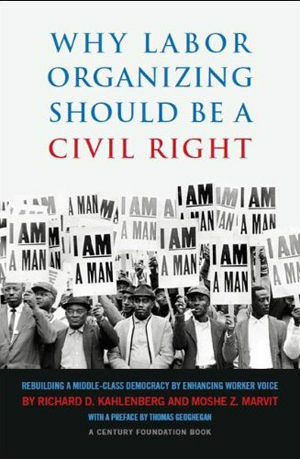 Their idea, in the book, Why Labor Organizing Should Be A Civil Right, drew a generally favorable response at the April 3 book talk at The Century Foundation, a Washington, D.C., think tank. Among its supporters was AFL-CIO General Counsel Lynn Rhinehart. She emphasized, however, that even doing so would not solve all the problems workers face when they try to unionize. Co-author Richard Kahlenberg said one reason organizers should be included in civil rights laws is to get around the fact that attempts to revise and update U.S. labor laws have foundered four times – each time under a Democratic President and Democratic Congress – since the 1964 presidential election. That’s because business has been able to successfully tar the proposals – everything from repealing federal legal permission for state right-to-work laws in 1965 to the Employee Free Choice Act in 2009 – as “special interest” legislation. Civil rights laws, however, aren’t special interest legislation, Kahlenberg said. Putting union organizers under civil rights law would be tougher to oppose, he added. “First, it’s simple. People understand the basic concept that if you’re doing your job, you shouldn’t be fired for joining a union. Second, it comports with the basic individualism of the American free enterprise system. Third, it would get young Americans. They understand the civil rights movement, but have no relationship with the labor movement,” Kahlenberg explained. Kahlenberg also said putting organizers under civil rights laws would give teeth to penalties for law-breakers, a key problem with the National Labor Relations Act. That act’s fines are negligible and no deterrent to law-breaking firms, he added. Indeed, many firms find it makes economic sense to break labor law, even if they eventually lose the case and have to pay, Kahlenberg said. That’s because even a rare large fine still leaves them achieving their real goal: Barring a worker’s voice on the job by beating the union. By contrast, civil rights laws feature punitive damages of up to $300,000 per incident, provide for instant reinstatement of people who are harmed and immediate court orders halting further law breaking – with the threat of more penalties. And putting organizers under civil rights laws, which cover everybody, would bring workers now not covered by labor law, such as “independent contractors” and farmworkers, under labor law protection, the authors write. Rhinehart generally agreed with the book’s thesis, but pointed out it would not solve all the problems union organizers face: Harassment, intimidation, captive audience meetings aimed at workers, threats to close plants, and more. “There’s also the question of ‘Do we move one piece of the puzzle forward,’ and succeed, but that it’s our only shot. Then do we have to wait until 2080 or 2090 or 2100 for the rest?” she asked. Audience members also pointed out putting labor organizers in civil rights laws – or any other pro-worker legislation – would have to be a bottoms-up grass-roots movement. Mary Frances Berry, former chair of the U.S. Civil Rights Commission, made that point in speaking from the audience. And by and large progressives have given lip service to workers’ rights for years, even as labor has campaigned for their causes. Questioned on that, panelists pointed to the mass mobilizations of workers – union and non-union-church groups, civic groups and their allies in Ohio and Wisconsin. Those mobilizations occurred, however, when people saw their rights threatened, and beating the threat, a negative goal, was the aim. Motivating people for a positive goal, be it labor law reform or putting organizers under civil rights laws, is tougher. But it also may be the way to go, Kahlenberg and the other panelists said. The alternative is to have the union movement, again, go it alone, and the cost would be enormous, with no guarantee of success. 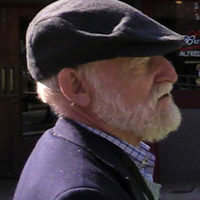 Another audience member, former AFL-CIO President Tom Donahue, estimated that pushing such a change would cost unions $40 million at a minimum. 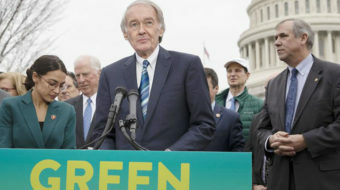 That compares, he said, with an average of $10 million each spent for labor’s last four big legislative campaigns, including trying to pass EFCA, fighting the North American Free Trade Agreement and the 1978 attempt to pass comprehensive labor law reform.